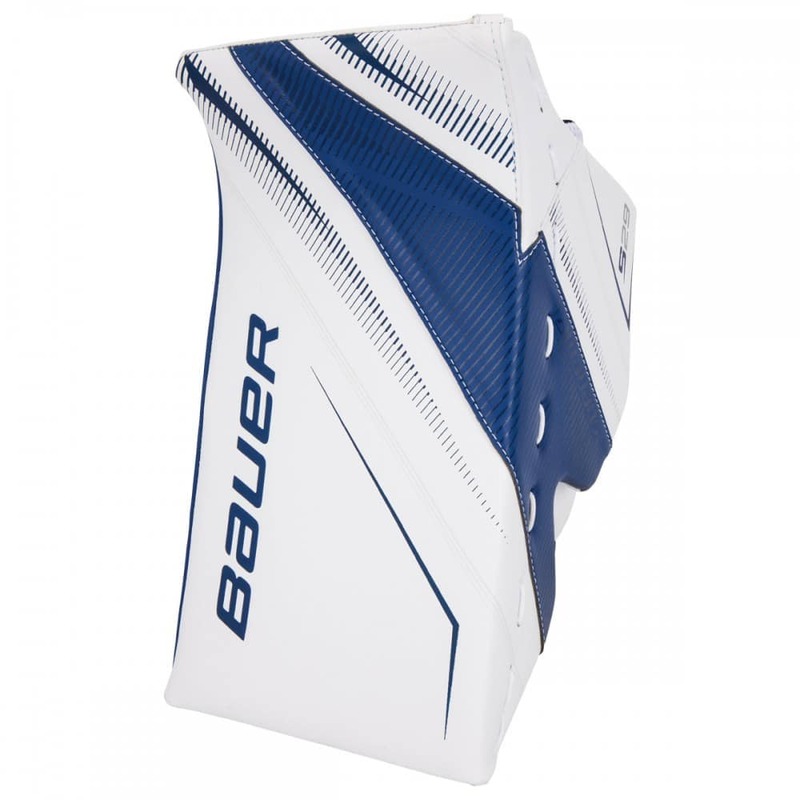 Brand new for 2018, Bauer has continued their revolutionary line and brought out the new Bauer Supreme S29 Intermediate Goalie Blocker. 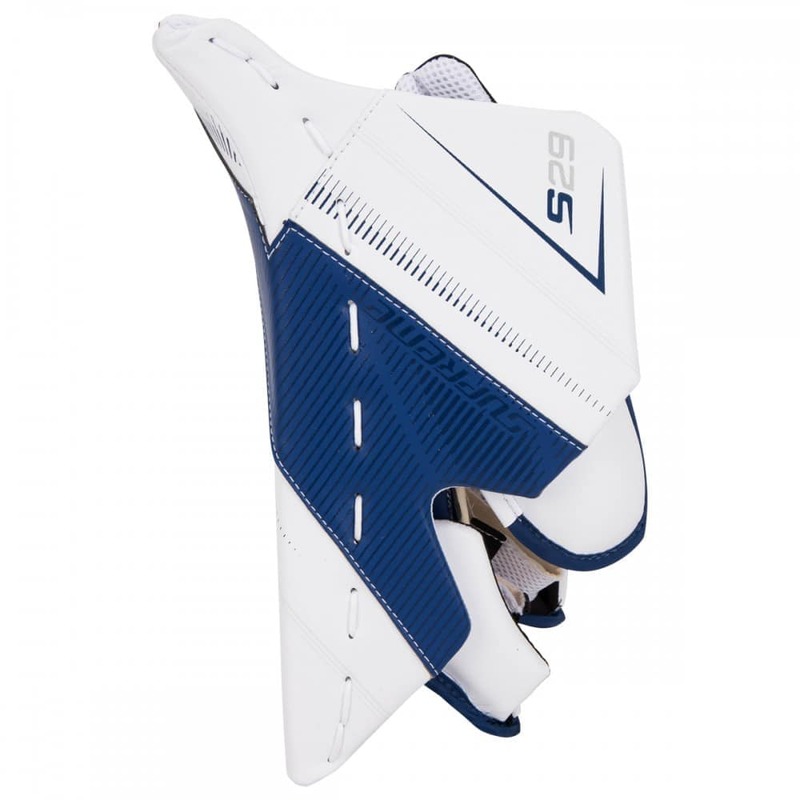 The S29 Intermediate blocker will feature tweaks in the build process, construction and overall durability to make the Supreme line of equipment better than before. The S29 Intermediate blocker starts off with crisp digitally printed accents and a sewn graphic. 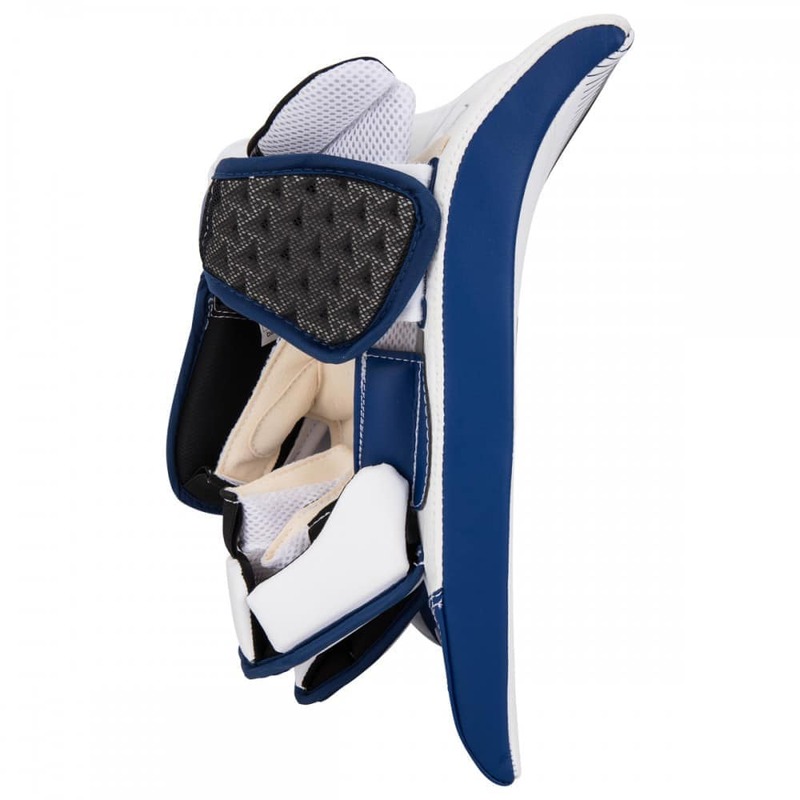 With the reduction of stitches and graphic, the weight is also reduced and gives the blocker a lightweight feel on the back of the hand. 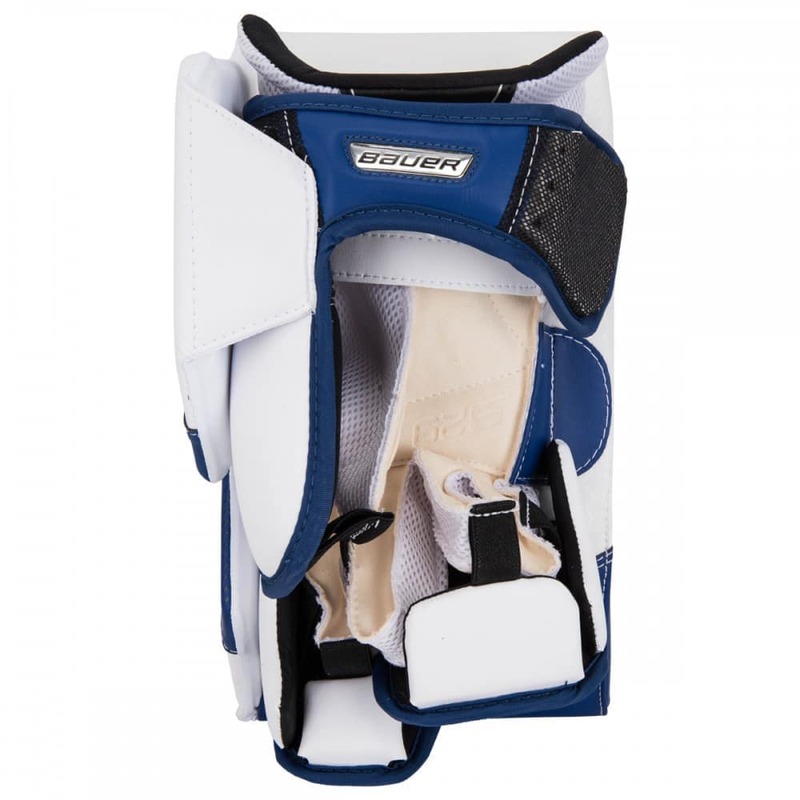 Much like the S29 leg pads, the blocker will also feature standard synthetic leather. 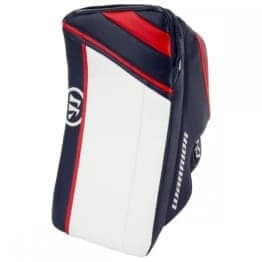 On the board itself, it is created with HD foams to help drive pucks hard and away from the body, ultimately giving the goalie the advantage in rebound control and creating more time for recovery. 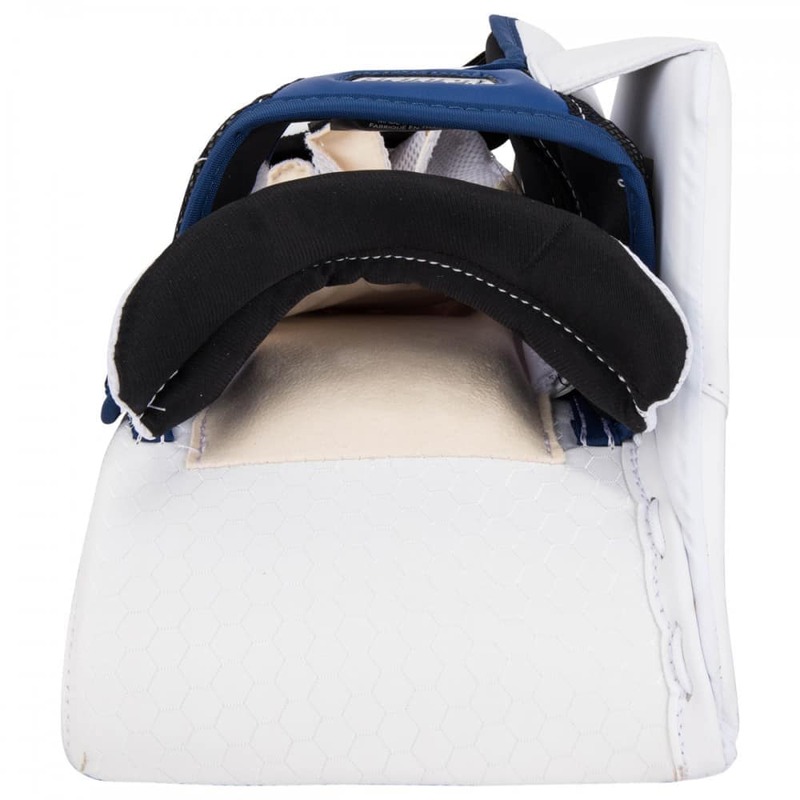 Moving through to the back of the blocker, the blocker is lined with an AX Suede pro palm for a soft feel and comfortable grip. 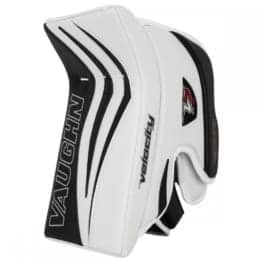 Building off of the success of the previous generation, the sidewall is still a large rigid piece designed to help seal the body and provide the goalie with a solid blocking surface between the blocker and the body. 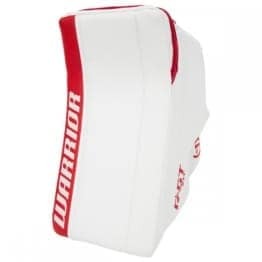 This sidewall is met with large reinforcements around the thumb and a unique index finger guard to create a solid seal against the goalies sticks. 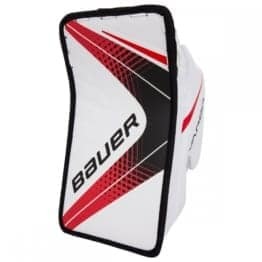 Moving through to the wrist area, the S29 Intermediate will feature Bauer’s Free Flex design to give the goalie completely uninhibited wrist mobility to make any save. Throughout the wrist, there will also be a moisture-wicking liner that will help reduce the amount of heat and sweat throughout game play. If you are an intermediate-level goalie that is looking for key upgrades in durability, sidewall protection and palm comfort, the Bauer Supreme S29 Intermediate Goalie Blocker will be for you.